For an undeniably café-quality cup, at the touch of a button, the Sage Oracle Touch™ is ready to serve. And what to put in a high-spec machine, than world-class coffee? Included is £225 of Pact Coffee credit for superbly satisfying coffee. Fully-automated, you can pick your favourite coffee at the touch of a button - whether flat white, cappuccino, long black or something else! You can also perfect up to 8 additional recipes and save them each under a new name. Not to mention the One Touch Americano feature, delivering a double espresso shot and hot water separately as trade machines do. With a whopping 58mm portafilter giving you a 22 grams dose, you’ll get a commercial-size cup every time with the Sage Oracle Touch™. Another commerical feature is the Over Pressure Valve (OPV), which ensures an even and balanced extraction - to avoid bitterness. The heated group head and digital temperature control (PID) technology, makes sure the temperature is always spot on. Your machine will be delivered for free in 5 working days (or less). 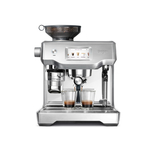 Once it arrives, contact Sage on 0844 334 5110 and they will arrange for a specially trained coffee engineer to set up the Oracle Touch™. They’ll also teach you how to get the most out of it and can answer any questions on how to make the best brew every time. You’ll then be confident using the Oracle Touch™ to create your own coffee masterpieces. 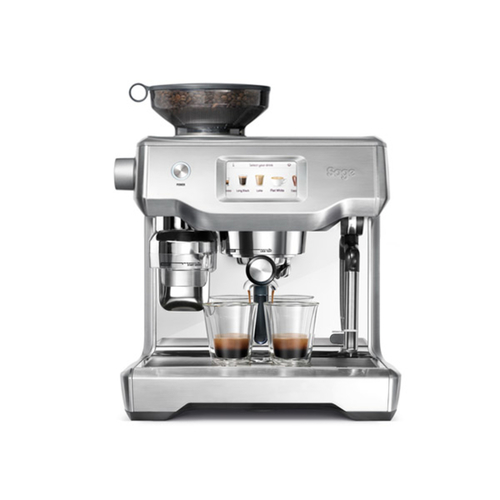 And when it comes to the coffee, what could be better than £225 worth of Pact to get you set up? We scour the world for hidden coffee gems and trade directly with farmers to give everyone a better deal. All Pact coffee - including our game-changing Espresso Blend - is sent out in letterbox-friendly packages within seven days of roasting, because that’s when coffee tastes best.